The slick back haircut is one of the trendiest male hairstyles in recent times. It dates back to the early 1950s. Although the hairstyle has been around for a while, the modern folks have added a lot of spice to it. 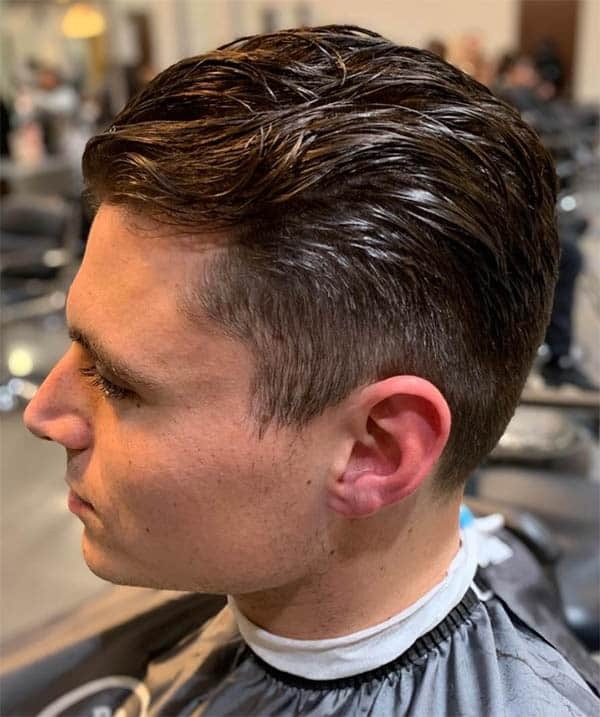 For a modern slick back haircut, many trendy folks often combine a low or high fade with long hair on top to create a stylish and cool hairstyle. The good thing is the hairstyle works for both long and short hair. It also works with different hair textures. There are different ways to rock this amazing haircut. To help you stay trendy this year, I’ll share 44 different ways you can style your slick back haircut. These styles will definitely bring out the best in you, fashion-wise. Talk about class! This unique mohawk crest is all you need to stay trendy. It requires some real waxing and expertise. You may need to visit your stylist often to keep the crust in shape. This haircut will morph you into a show stopper. The upward swoop of the hair emphasises your facial features. I recommend this for anyone keen on making a fashion statement this year. It works well with facial hair too. Who says you can’t be geeky and stylish? This haircut brings out the style in geeky. 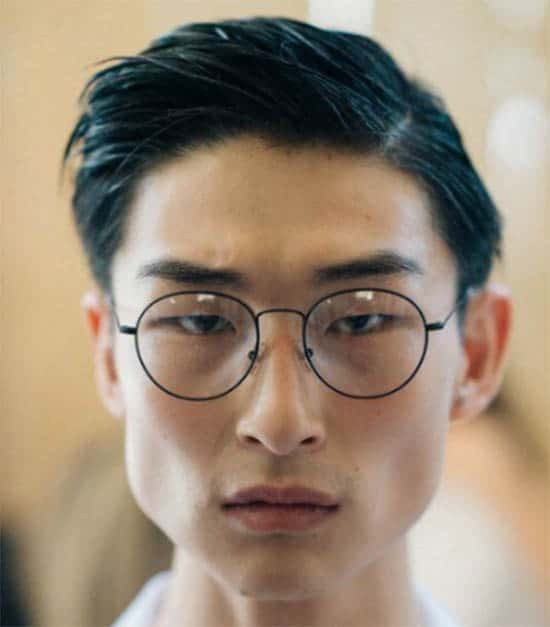 Don’t get too worried about the glasses-a simple side parting around your top hair should take care of it. 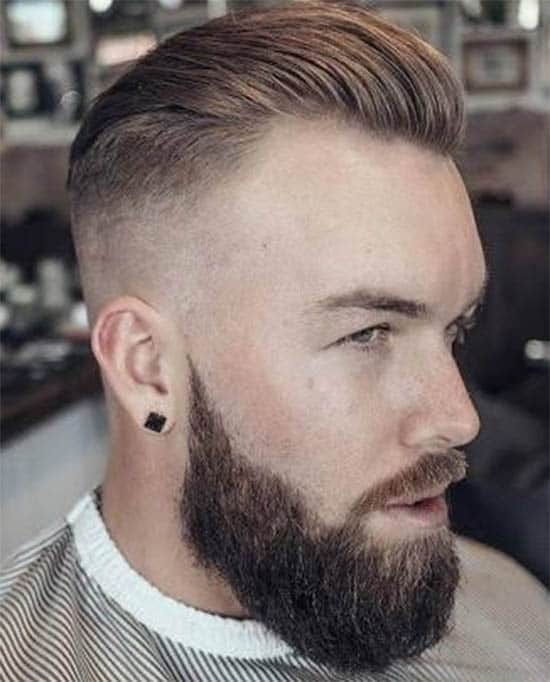 This haircut works well with your beards to create magic! The side and the top of your hair are styled towards the backend of your head. 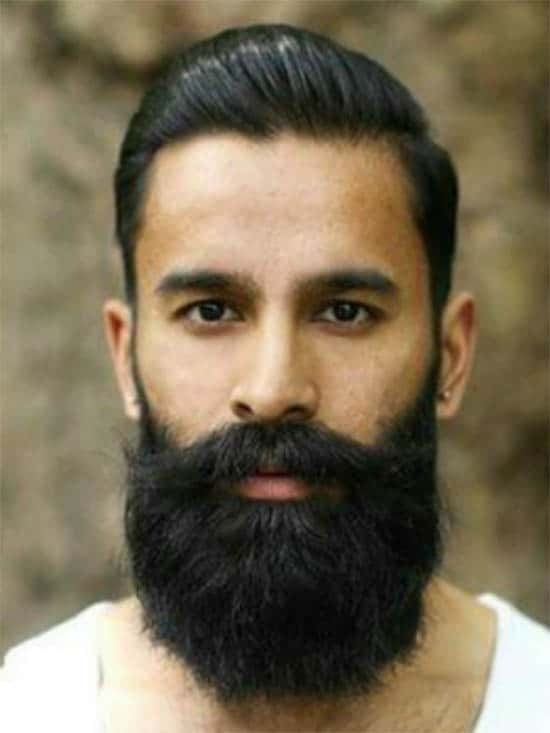 These combine with your beards to birth elegance. 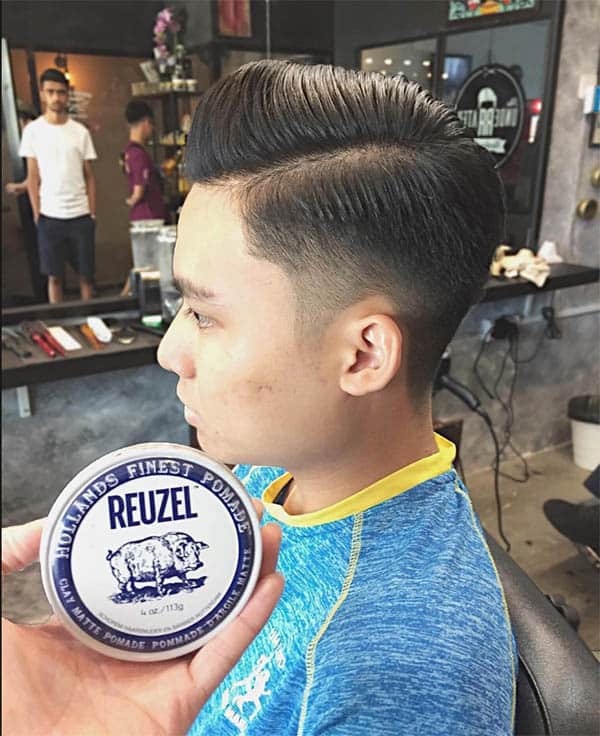 You should definitely try this style out. The name of this one betrays its style. Stay wet and trendy with Wet and Slick. It makes your messy hair classy by bringing out volumes to complement the many layers of your hair. It works well with a low budget too. So styling this may be a bit complicated but it is a very amazing haircut; once you get everything right. It works well for persons with slightly curly hair. 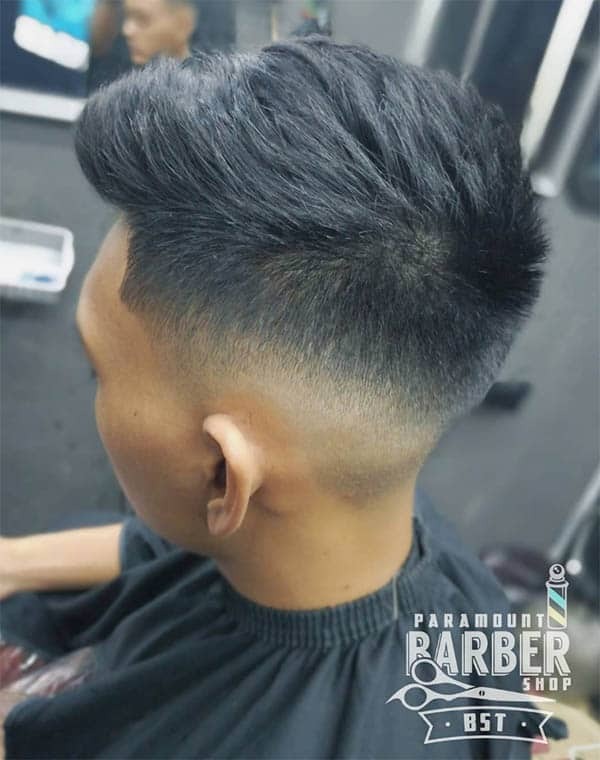 This haircut will definitely give you a timeless appearance. The curved slick back hair is one of the trendiest hairstyles around. If you’re worried about your very round face, you may want to try this style out. It styles your hair in a curve, hence making your face look a lot smaller. You shouldn’t miss this haircut if you really want to stay trendy this year. 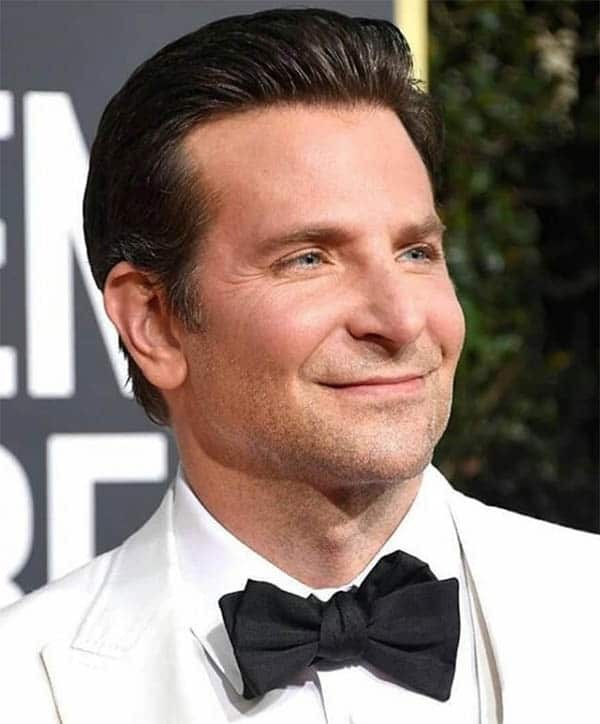 Here, your beards combine with neatly styled short slick back to create a perfect look for you. 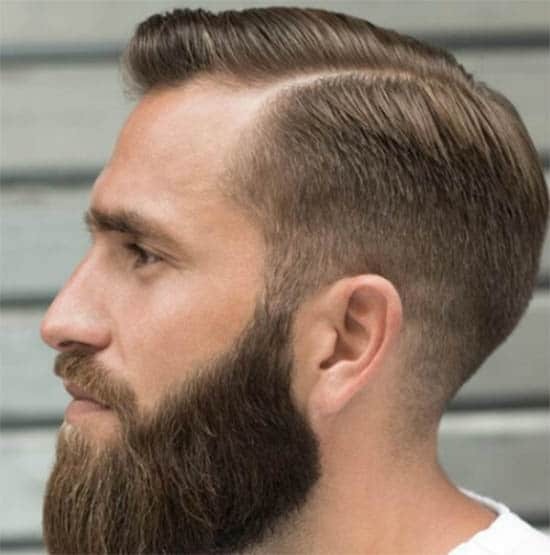 To create a perfect blend with your beards, the slick back is styled with a neat undercut. The sophisticated slick back haircut is every bit of its name. It works best with lots of texture and volume. Although its styling may be a bit complex, this haircut is certainly something you should rock this season. I like to think of this as the perfect pirate look. You may need some guts to pull this off. To be more daring, keep the sides of the hair and add some length on the top of the hair. This haircut is classy in every way. The best part is it is very easy to style. 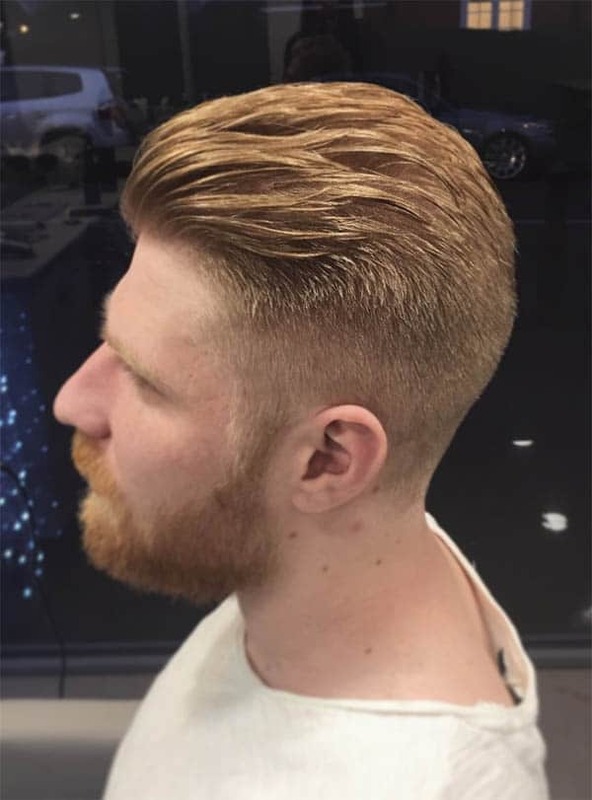 You will need to use lots of gel to achieve this style. Combing your hair backwards will help it stay in shape. It looks good on facial hair too. This haircut is one for the sleek and brave. 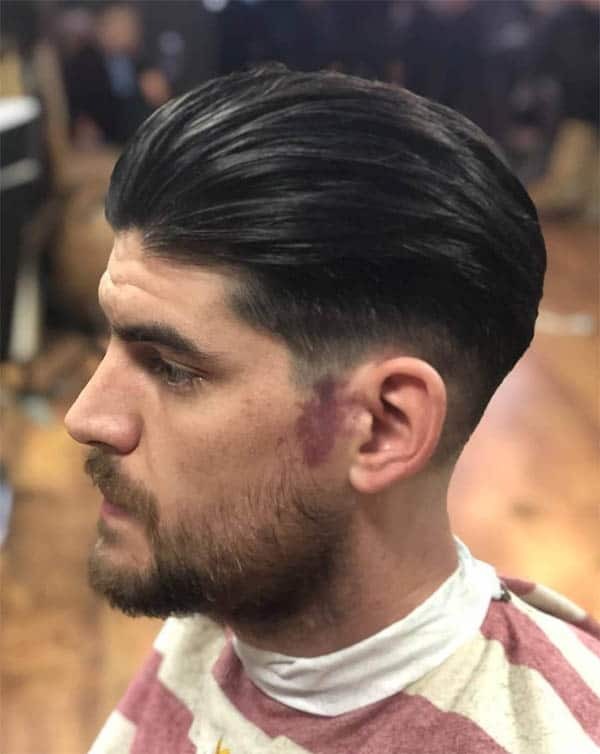 To achieve this style, simply style your over slicked back style with a wet look to achieve some dangerous fashion class. 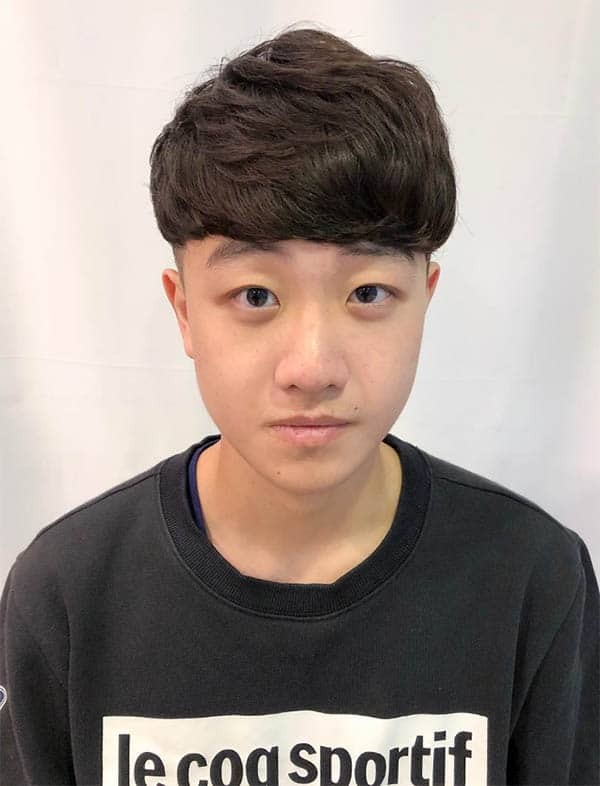 Like the others, this haircut should be on your to-do list for 2019. To create this look, simply shave the sides of your hair slightly. The top part of the hair is then swept back in a way to form a V-shape. Of course, you’ll need to go blonde first. I love the feel of this unique hair style. 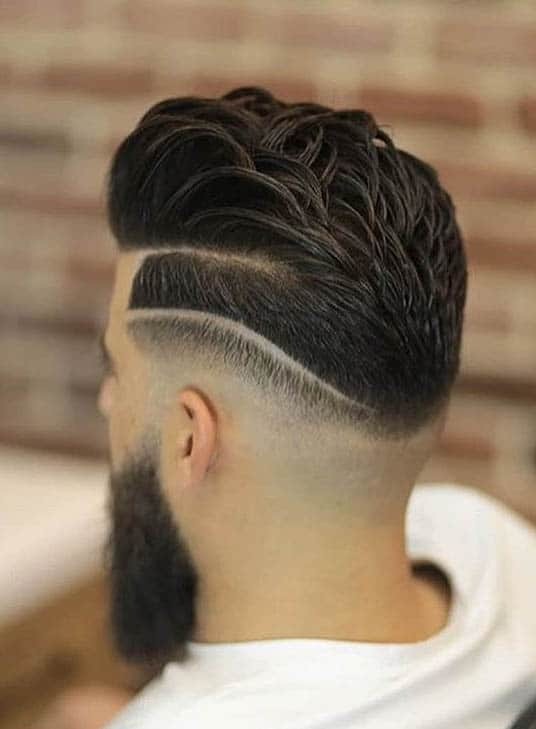 Your hair and beards blend perfectly in this haircut. This style has a nice masculine tint to it. It is definitely something you should try this year. The medium slick back cut is an eye-catching style for all trendy men. This haircut is a two-way thing. You can style it up or tone it down. 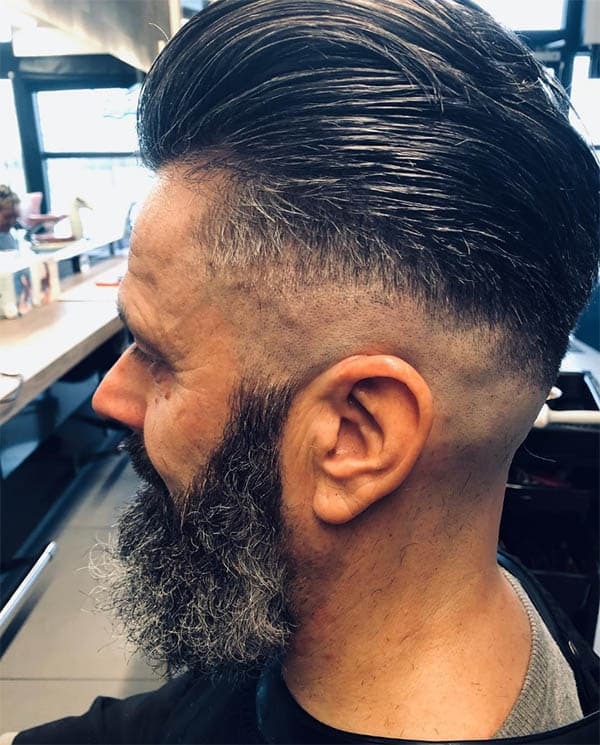 It’s a great haircut for bearded men. Talk about taking an interesting trip to the past. 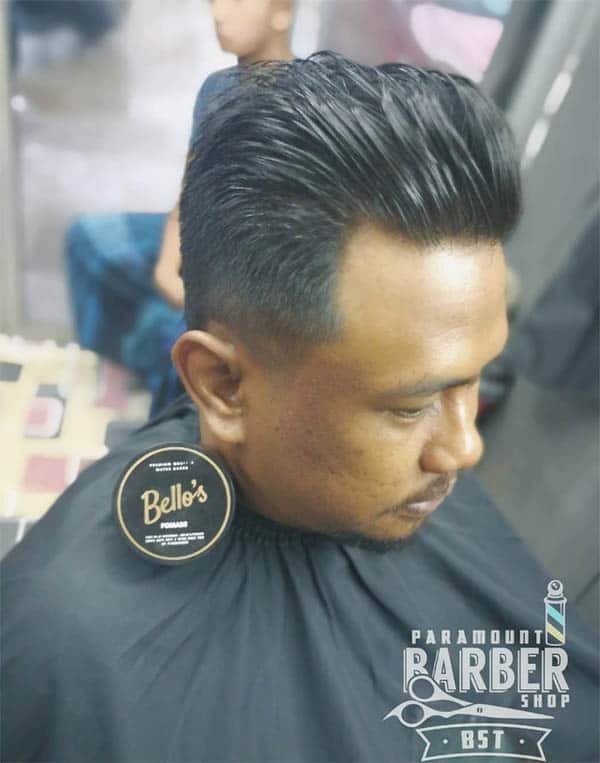 The vintage taper slick back haircut takes us way back. It is both vintage and classic. Achieve a sleek yet vintage look with this haircut. This creates a virtual contrast and balance with your look. This haircut is very quite similar to the rocking retro fade. Talk about achieving the perfect rockstar look. 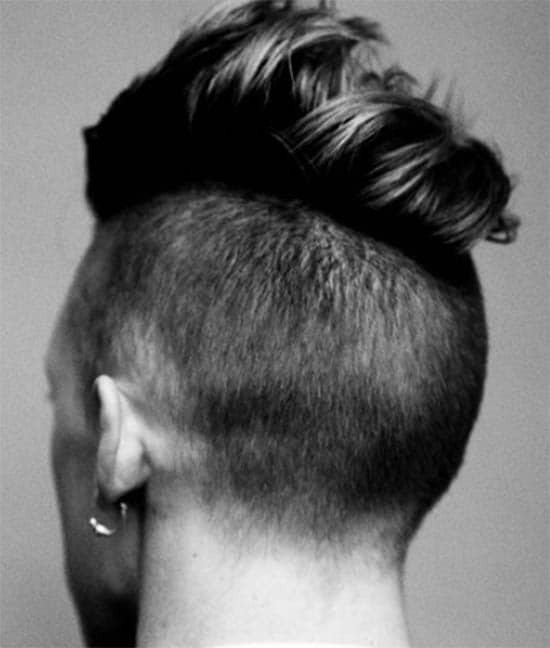 Shave the sides of your hair; leaving the crown of your hair to form a tall Mohawk quiff. Bring out the rockstar in you. This slick back haircut adds volume to your hair and creates a fine contrast. It’s a wild haircut yet very sleek. You can rock this style to any occasion. Of course, it works well for men with lots of facial hair. Personally, this is my favourite slick back haircut. It makes you stand out from the crowd easily. The haircut is styled with a sort of elevation. It’s very sleek and gives you a unique appearance. A bit of facial hair adds style to this appearance. 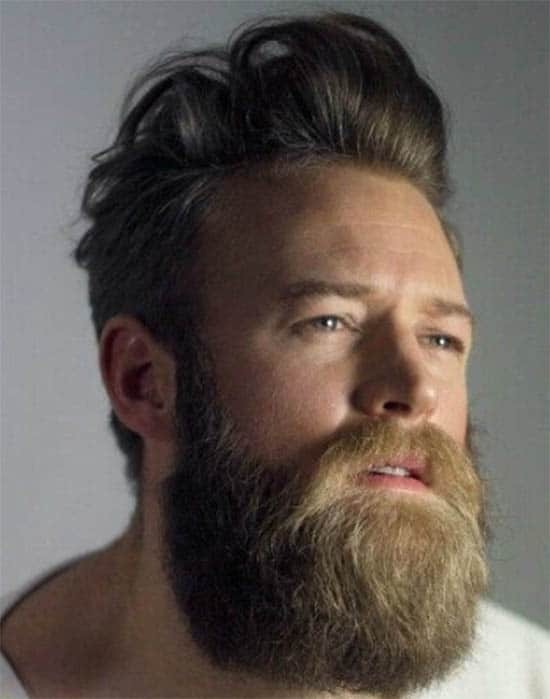 A light beard creates some really cool balance to this look. 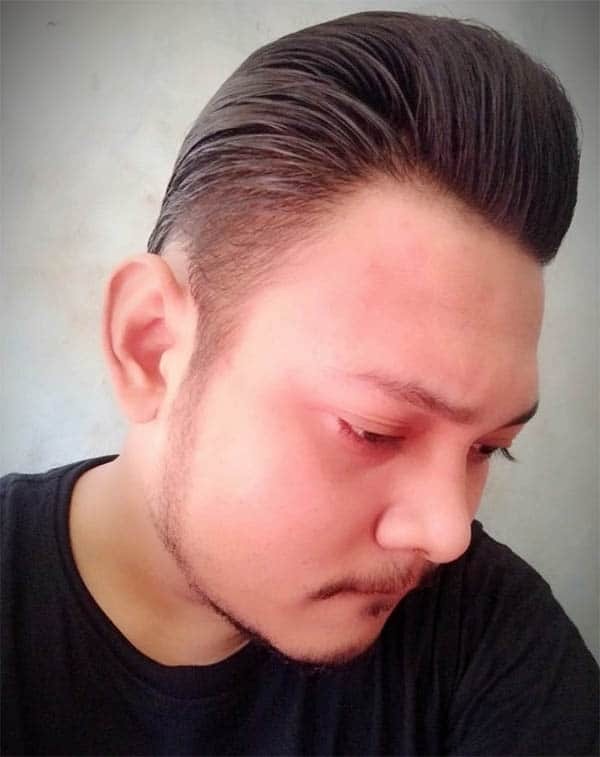 This slick back with facial hair haircut matches your facial features with your overall appearance. It’s definitely something you should try. The good thing about this haircut is you can rock it to any corporate or business gathering. 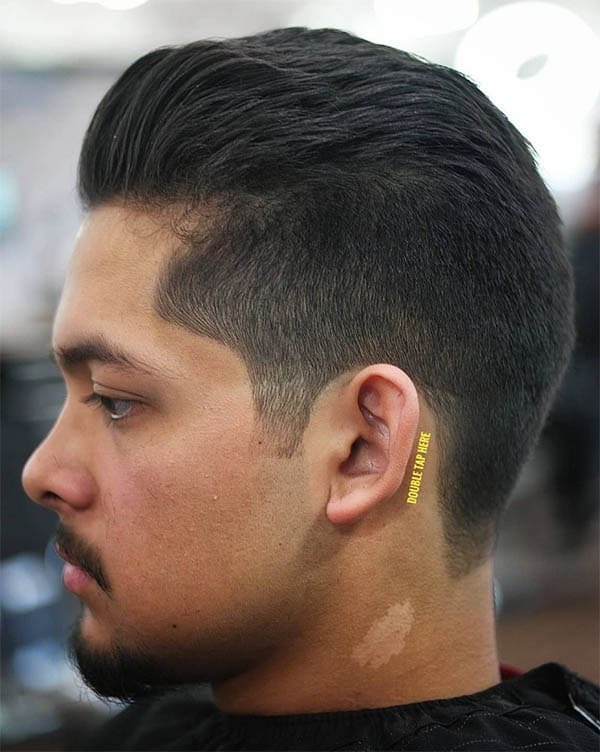 High fade slick back helps you stay in style, even when you need to appear formal. Who says formal can’t be fashionable? I love the feel that comes with this one too. For this haircut, your hair parts neatly in the most natural way. You can also add some style by applying some natural hair gloss to achieve a shiny look. If you’ve seen Fifty Shades of Grey, you should already know how this haircut works. You’ll need to grow your hair to average length if you want to rock this style. 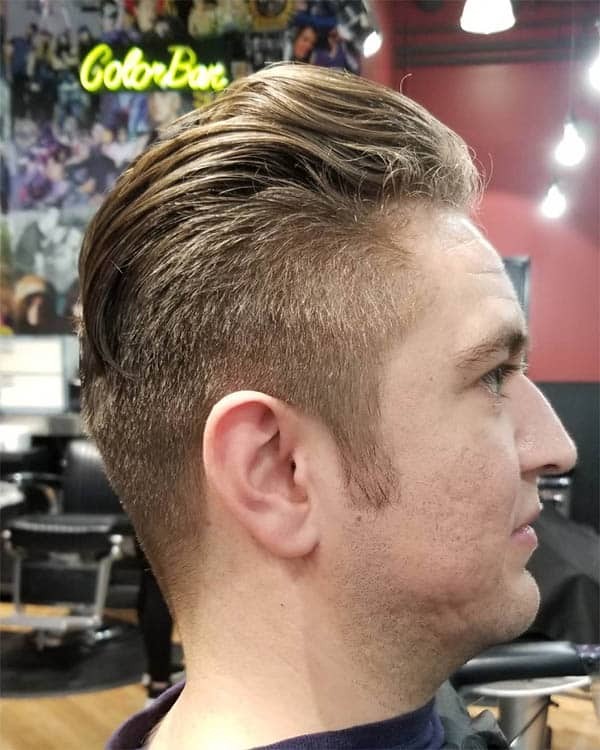 Every part of the hair is styled backwards while a slick is formed right above the forehead. 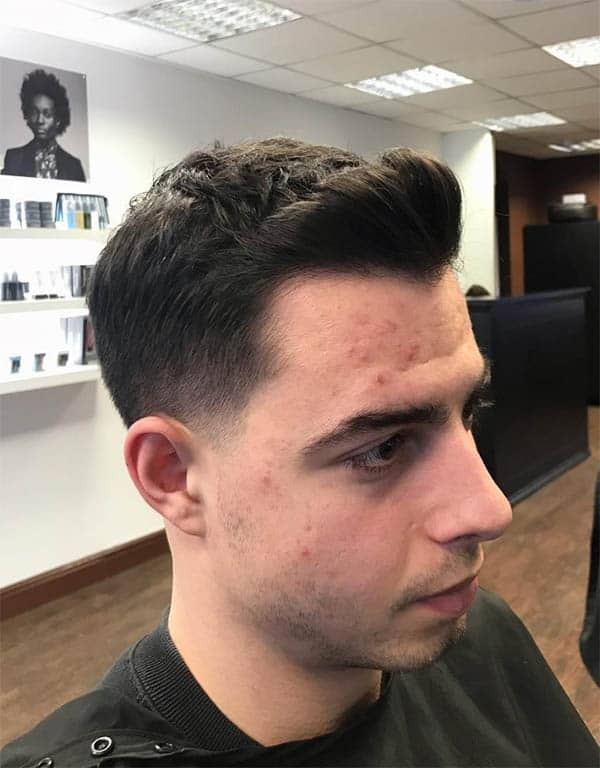 This style is suitable for young men who wish to make a fashion statement. You can style this with whatever hair texture. 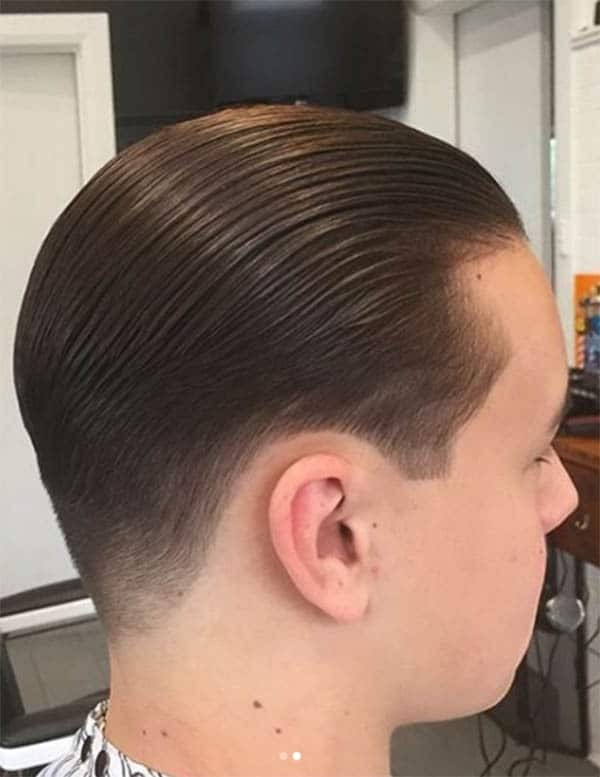 Slick back for young men adds lusciousness to your appearance. A definite parting on your slick back hair sure makes you stand out. 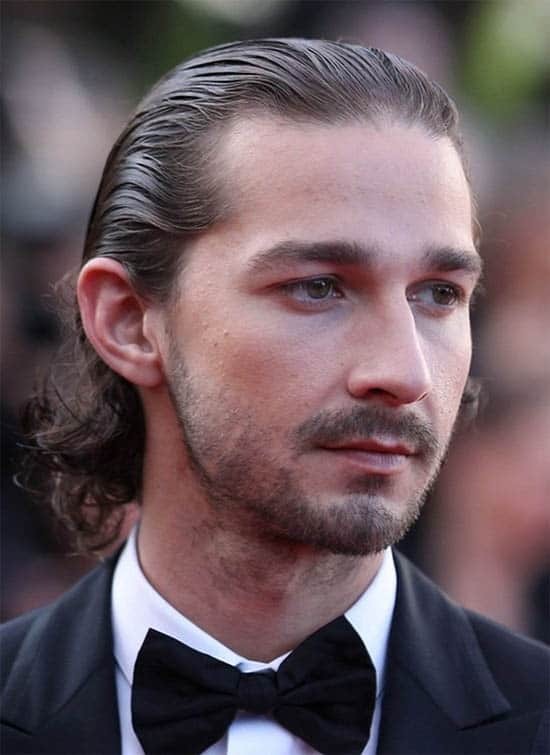 Achieve this look by slicking the front part of your hair backwards. 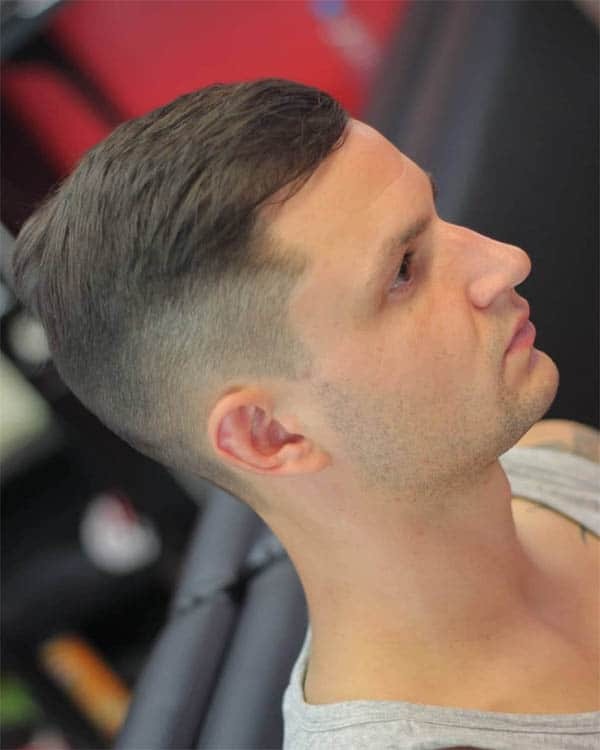 You can add a neat undercut too to add some style to your appearance. This haircut takes you on an adventure, literarily. The top part of the hair is asymmetrically cut to create a balance. It sure requires some serious styling. In the end, the serious styling is definitely worth it. You don’t have to miss out on staying trendy this year, even with your long hair. 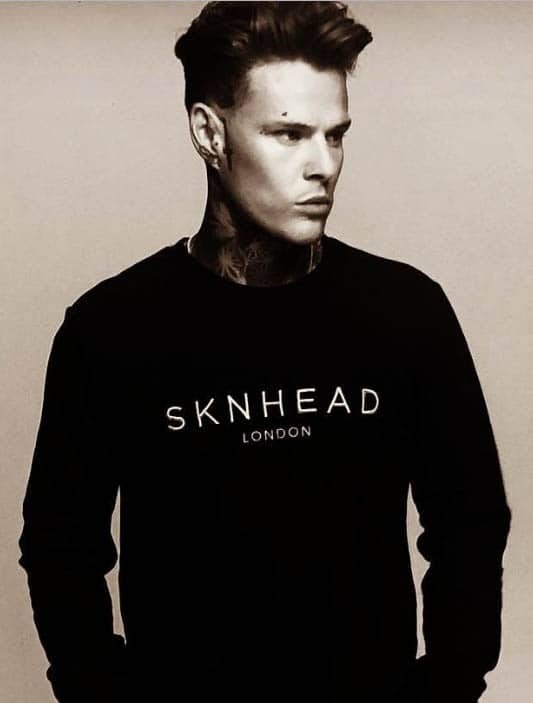 Slicked back long hair is definitely something every man with a long hair should try. Run through your hair with your fingers then comb the hair backwards to achieve this. 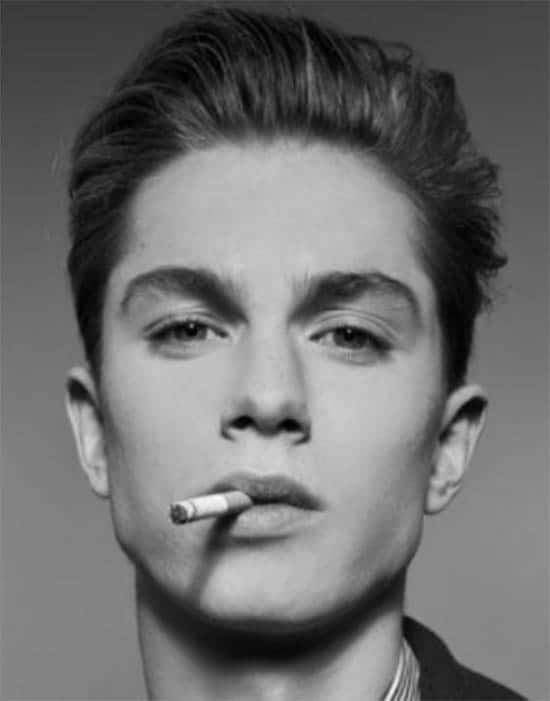 The quiff in this style is quite high. The crown of the hair is kept long to enable you style a peak. Finally, the hair is swept backwards. This is a hairstyle you shouldn’t miss this year. 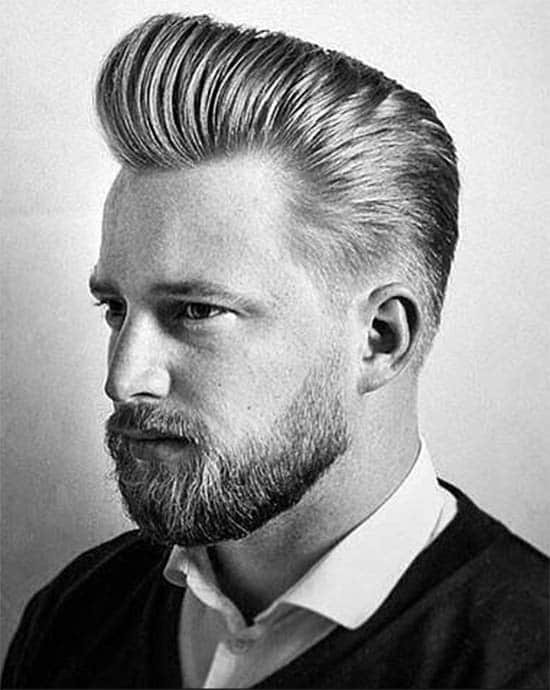 Bring out the Don Quixote in you with this haircut. 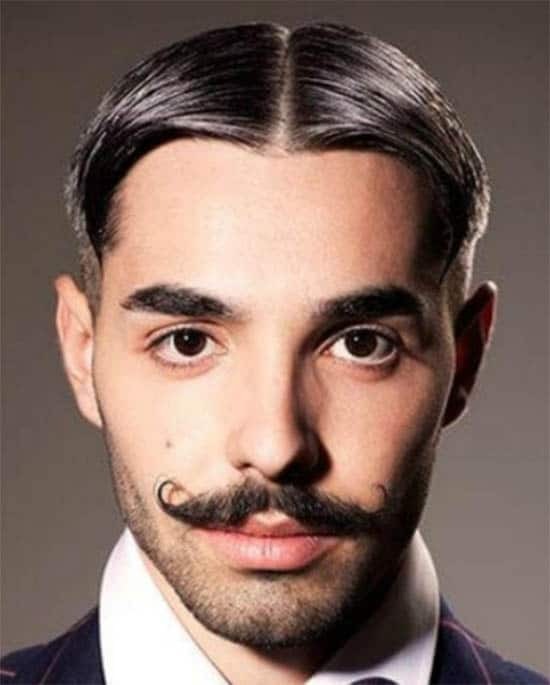 Moustache definitely makes a statement with slick back hair. 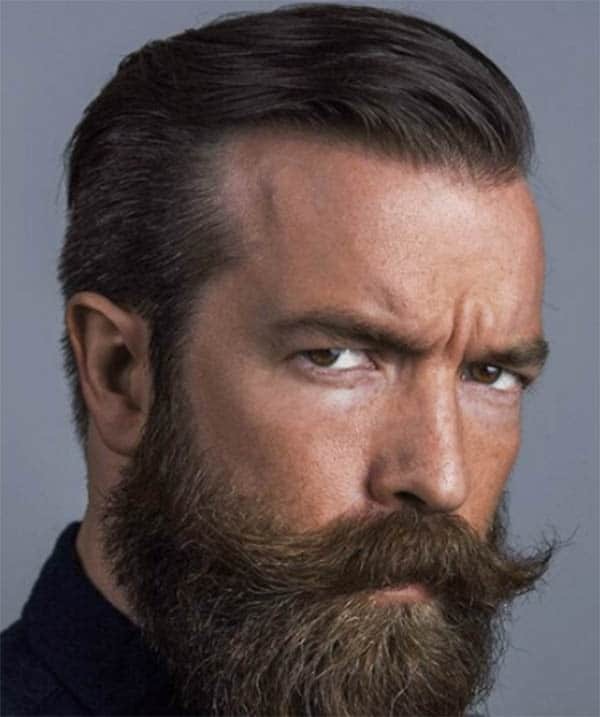 You’ll have to trim your moustache regularly to maintain this style. Who says older men can’t stay trendy? Age shouldn’t be a barrier to looking good. To style this haircut, simply shave the sides of your hair. The rest of the hair is left long and swept to one side. 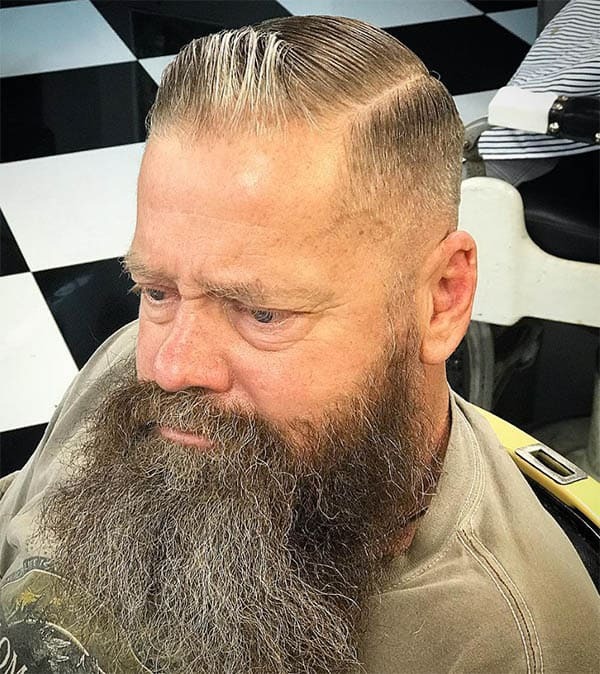 This haircut involves a slicked side cut and well-trimmed full beards. The sides of the hair are cut short. It also has a loose and shiny side part. This side part serves as the quiff and it is combed backwards. 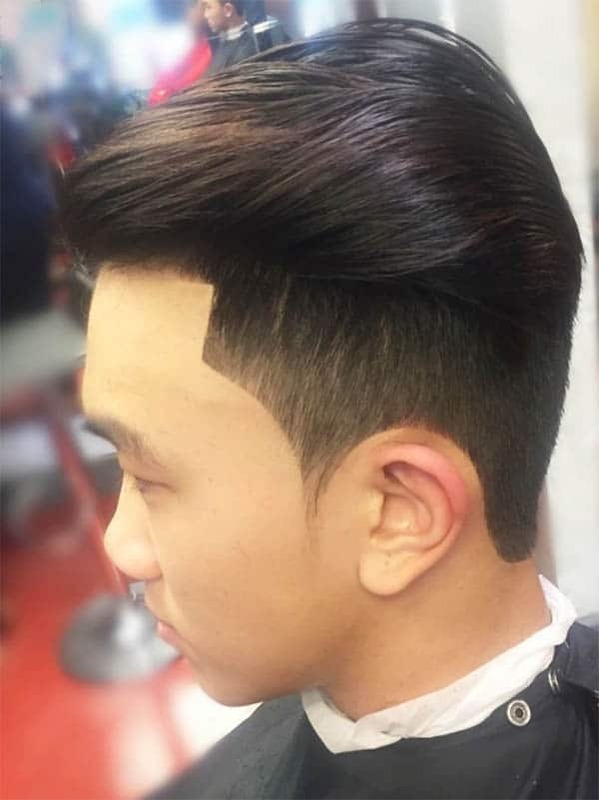 This haircut is very unique. The sides of the hair are cut evenly. The crown of the hair is kept quite high too. Of course, the tattoo adds style to the entire look. This gives you a classic appearance. 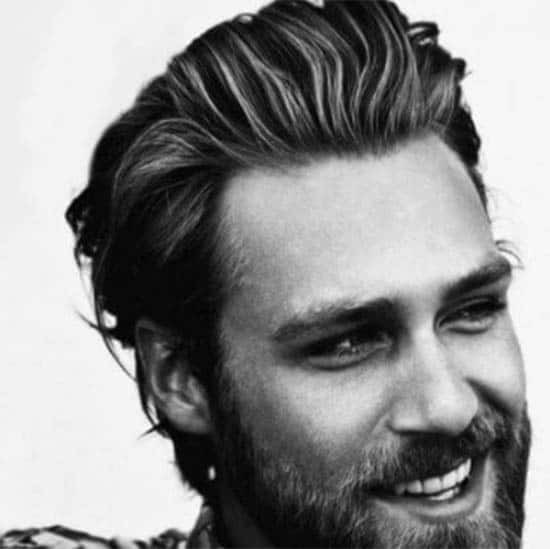 Slick back with messy hair gives you this rugged yet attractive appearance. This hairstyle works for various occasions. In many ways, it looks like the slick back undercut hairstyle. 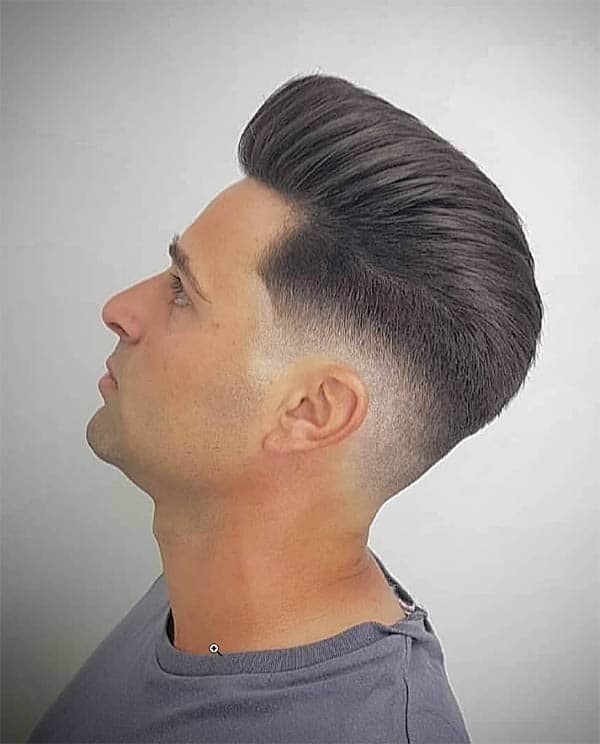 This haircut looks best on men who have little or no facial hair. 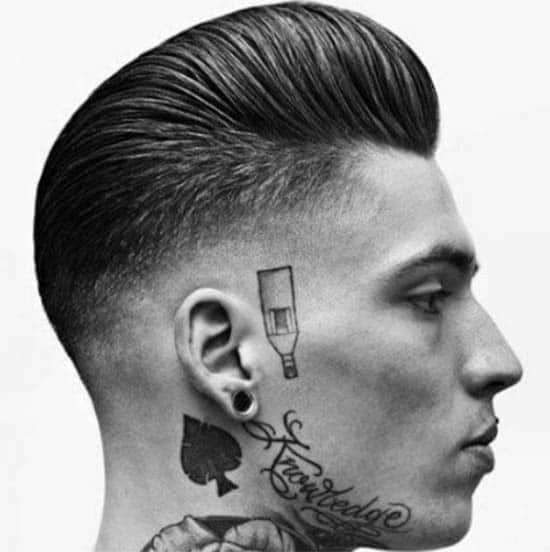 This hairstyle creates a perfect look by combining undercut with swept back hair. It forms a nice shape around the sideline of the hair. Adding some facial hair to this style won’t hurt at all. 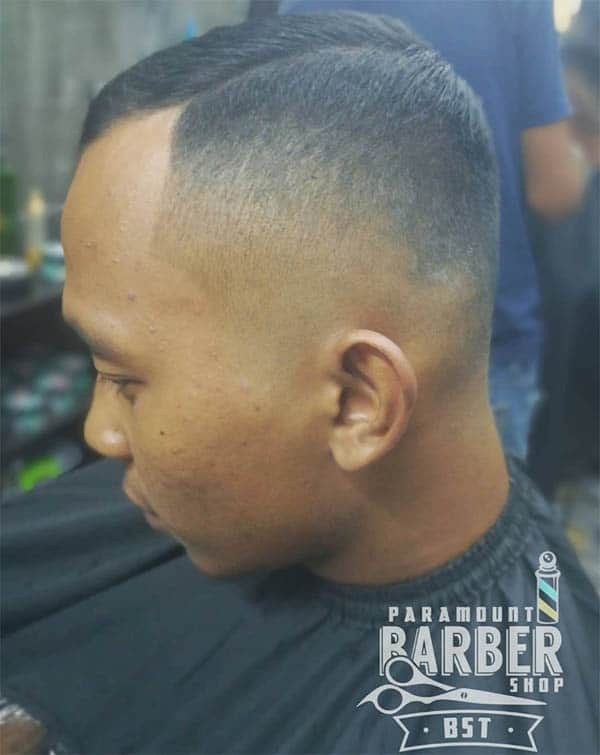 Try this haircut if you have receeding hairline. Yes! 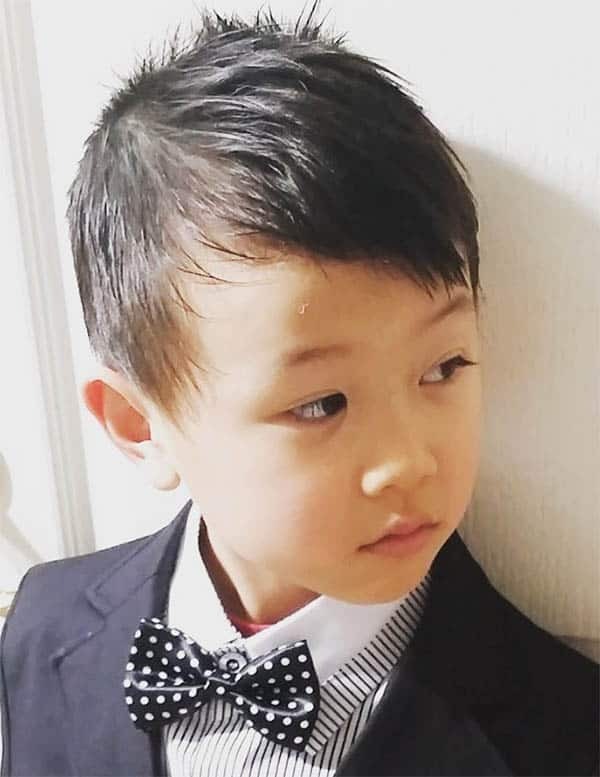 Receeding hairline is also fashionable. 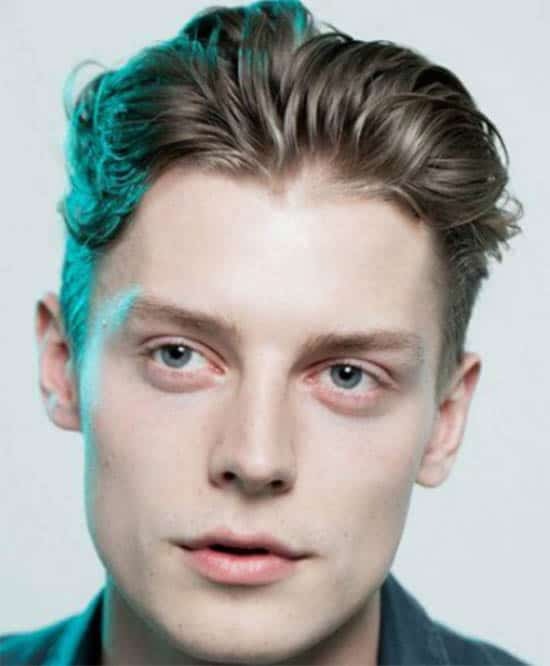 To achieve this,the hair is cut short on both sides. The top of the hair is kept long and swept to one side. This gives you a unique appearance. To achieve this look, simple blow-dry your hair then treat it with a number of natural hair products to keep the hair in position. 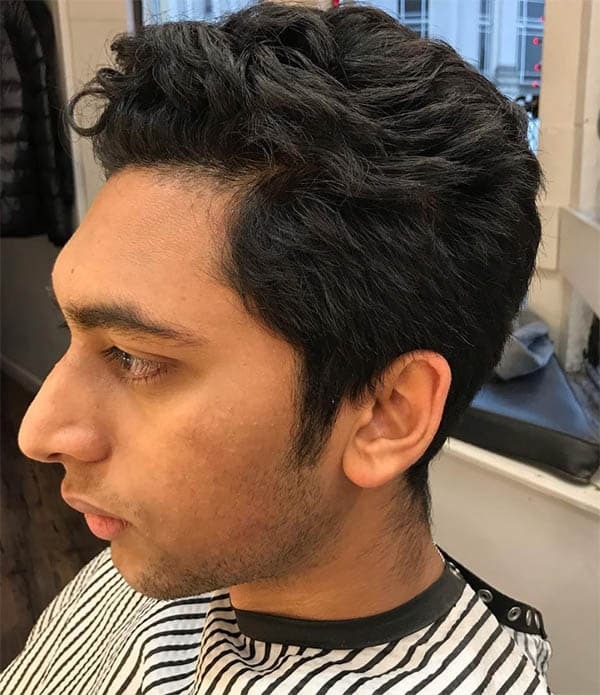 This haircut works well for persons with thick and dense hair. Here’s another look that will definitely give you a unique appearance. However, haircut can only be properly styled by a professional. 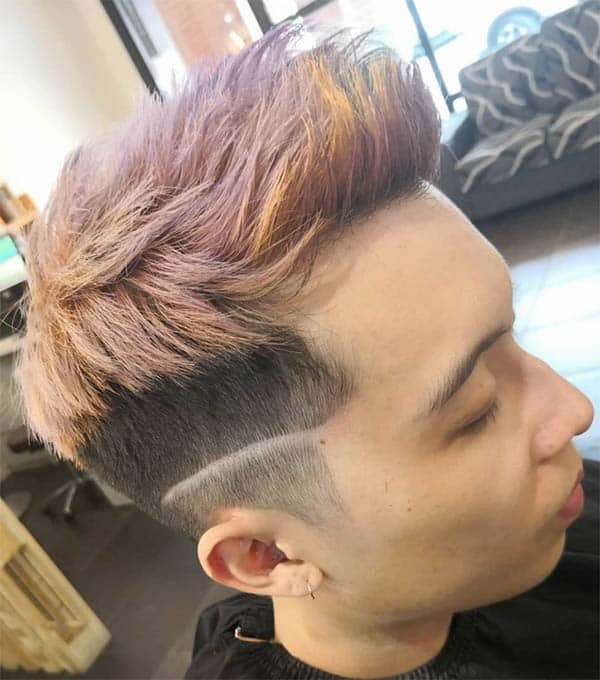 The sides of the hair are styled with a neat and deep undercut. The long hair is slipped backwards using natural gels. This slick back haircut is every bit like its name. The top of the hair has a loose and wild experience. This is achieved by twirling the hair. You’ll need to blow-dry your hair too and style it with a variety of natural products before sweeping it backwards. 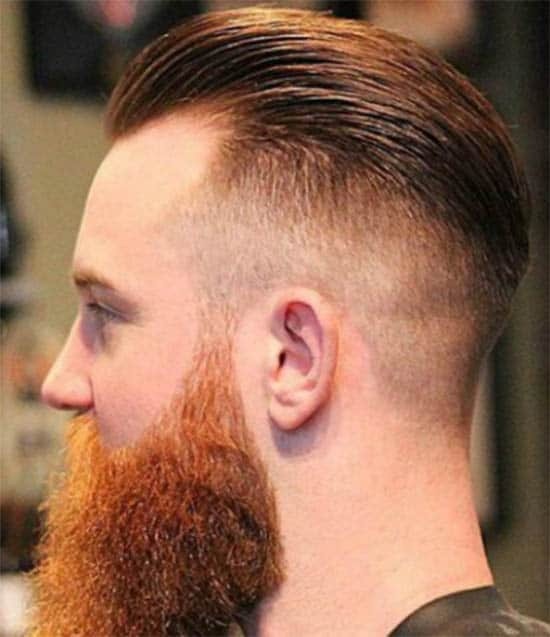 This haircut creates a lot of attitude around your beards. You’ll need to style the hair by shaving off most of it. Next, fix in a deep undercut and style the top of the hair to achieve this classy look. This haircut is entirely ageless. Thus, rocking it will definitely give you a timeless look. 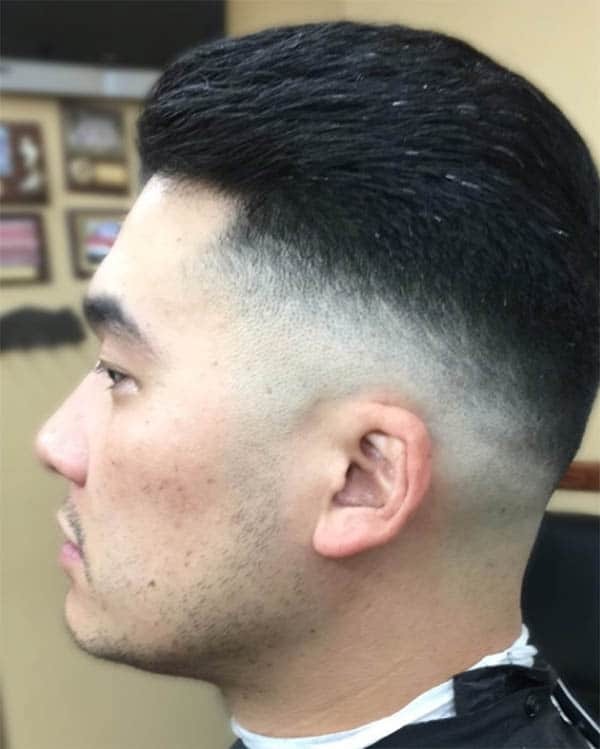 The shaven sides of the hair contrast with the high top and this gives you a unique appearance. Combine these with full beards and you are good to go. While its name may seem a little weird, this style is definitely one you would love to try out. To achieve this style, one side of the hair is shaved while the top is left with some length. The top of the hair is then swept backwards; hence we have hanging bangs. This haircut will definitely bring out the movie star in you. First, your hair is blow-dried. Natural gel is then used to enhance the shape and texture of your hair in a stylish manner. 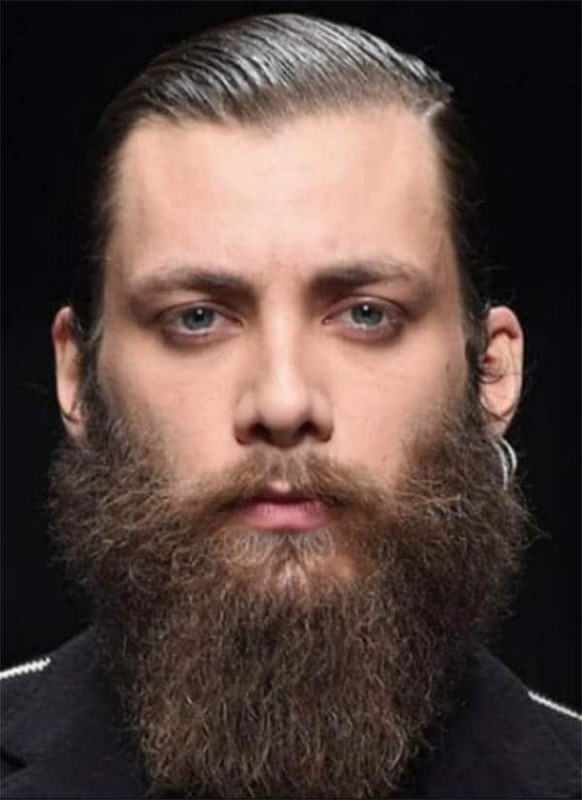 This style looks best on bearded men. This haircut involves sweeping the crown of your hair to one side. It is done by making a line on one side. The other side of the hair is kept long and swept to the other direction. You’ll need to apply some natural gel to make the haircut, neat. This haircut requires classic styling. First, the crown is left with very long hair. The length of the crown shortens as it moves backwards. The top is swept back so that it forms a high peak close to the forehead. Add full beards to this and you’re good to go. 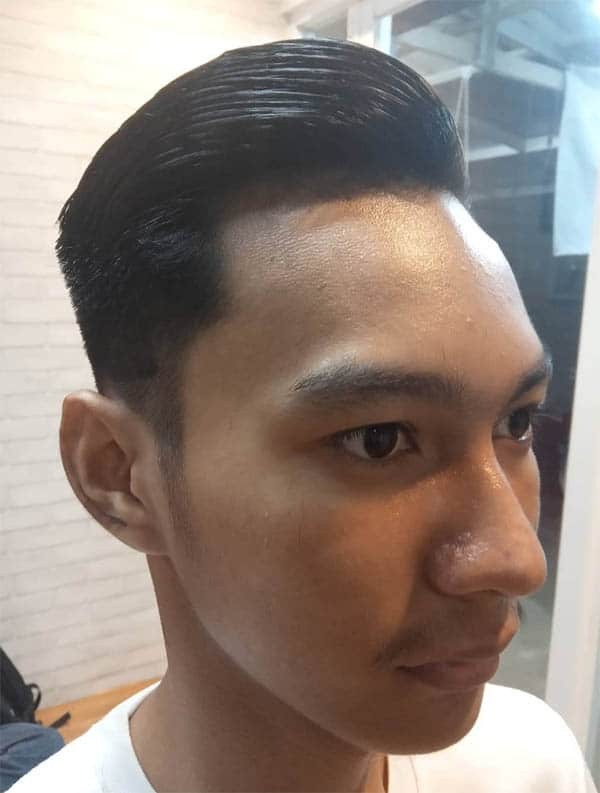 The slick back haircut is definitely one of the trendiest styles for men, this season. The best part is you can rock this style in variety of ways. 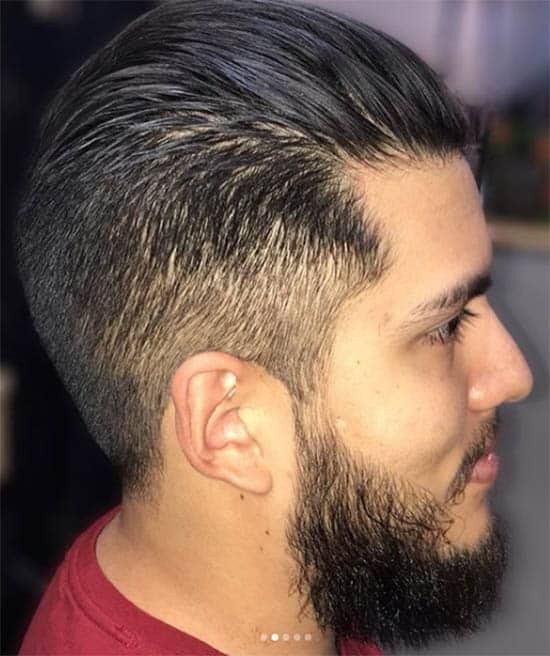 I’ve shared 44 amazing slick back haircuts with this post. I’m certain that one or more of them must have tickled your fancy and you want to try them out already. Be sure to visit your barber and get him or her to fix you up with your favourite slick back hairstyle.